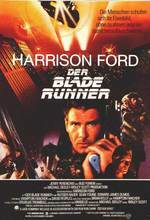 Set in a dark retro-future Los Angeles of 2019, Richard Deckard is a blade runner, a special policeman tasked with tracking down and "retiring" a number of Nexus 6 replicants, manufactured cyborg slaves illegal on Earth. The replicants hijacked an off-world ship to seek their inventor, hoping to extend their artificial four-year lifespan. Received Oscar nominations for Best Set Decoration and Best Visual Effects.